Many manufacturers and industries depend upon the investment casting process to produce accurate dimensional, precision parts. This is more easily accomplished through this form of casting as the initial mold is an exact replica of the desired part or component, leaving little room for inaccuracy. 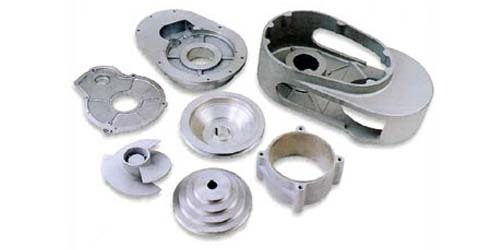 Precision investment casting is a popular manufacturing technique for all types of industries including aerospace, jewelry, automotive, medical, and dental. Investment casting can produce high-precision mechanical and engineering parts, automotive engine parts, medical equipment, and braces, among other common items. Such applications often require components be manufactured to precise net shapes with specialized alloys that without investment casting would require costly secondary processes to adjoin parts, remove part lines, flashing and the like. Though it is more expensive than other types of casting processes, precision investment, the nature of this particular process offers greater design flexibility, product detail, and metal options. The elimination of the need for welding, assembly or other finishing steps helps to minimize the initial cost of precision investment casting. The relatively straightforward precision investment casting process involves a number of detailed steps in order to produce the highly accurate parts it is known for. Manufacturers must first create a master die or wax pattern. This form is an exact replica of the part to be produced, in some cases it is the original prototype which may be either hand carved, machine made, or produced through injection molding. All flaws and imperfections must be removed from this model prior to all other steps, ensuring it is an exact replica of the desired part. The master die is then mounted on a wax rod known as a sprue using a heated metal tool. In some instances, several such patterns may be attached to one sprue forming a cluster known as a tree. Once the dies are in place the investment is applied. This ceramic slurry must coat the entirety of the wax mold. This is achieved by dipping the sprue or tree repeatedly into the investments of decreasing fineness until the desired thickness is achieved or alternately affixing the sprue in a flask and pouring the investment in around it. The investment is then dried and hardened in an oven or furnace, which also causes the initial wax form to melt and run out leaving the desired mold. Additional heating is needed to remove all residue and moisture. This also preheats the mold allowing the incoming molten metal to coat more evenly before cooling in mold. Once the metal is poured into the mold, it is cooled and the hardened investment shell is removed via media blasting vibrations, hammers or a dissolving agent to reveal the seamless final product. 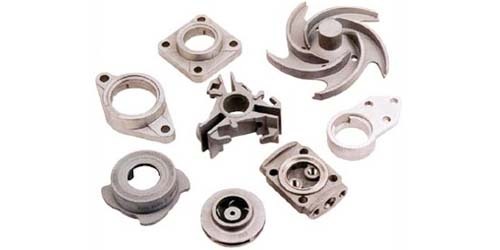 Precision Investment Casting Precision investment casting refers to the highly precise and reliable method of metal casting also known as investment casting or wax casting. The process uses a wax pattern or master die to create complex metal parts in an assortment of sizes, shapes, and weights.